Gangrene (or gangrenous necrosis) is a type of necrosis caused by a critically insufficient blood supply. or in people suffering from any chronic health problem affecting blood circulation. which results in cell death. 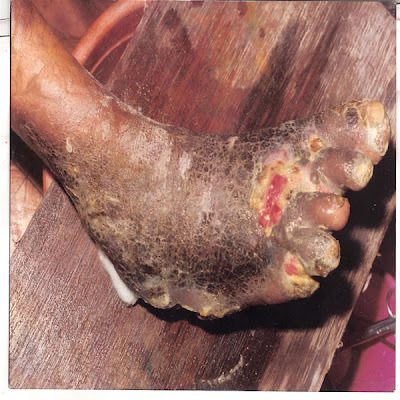 Diabetes and long-term smoking increase the risk of suffering from gangrene.